(Miami, FL) “For far too long, women in communication have been sought after for their natural beauty and professionalism but undervalued when it comes to the marketplace and equal compensation,” said Ilia Calderon, Univision Nightly News anchor, in her keynote address at the Third Annual National Conference of the Lillian Lodge Kopenhaver Center for the Advancement of Women in Communication on April 5 at BBC. Passion, body language, energy, effort, and work ethic were part of the Top 10 Things that Require Zero Talent for women on the move upward according to Sharri Berg, chief operating officer for news and operations for Fox television stations and senior vice president for news and operations of Fox News, another keynoter at the conference. Rounding out her top 10 things are being on time, attitude, being coachable, doing extra, and being prepared. More than 300 people attended the day-long event, Women in Communication: Moving Ahead, which featured some of the top women in the communications professions from around the country. A Conversation with Professionals in the morning included Rosanna Fiske, vice president for corporate communications of Wells Fargo & Company; Samantha Ragland, manager of digital entertainment strategy at the Palm Beach Post; and Michelle Zubizaretta, co-owner of Zubizaretta Investments, Inc. The afternoon session called Thought Leaders Talk included Alina Falcon, senior vice president of daytime programming, for NBC / Universal Telemundo Network, and Cynthia Hudson, senior vice president and general manager of CNN en Espanol and Hispanic strategy for CNN /US. Moderator for the session was Nathalia Ortiz, a reporter for WSCV- Telemundo 51. Throughout the year the Kopenhaver Center conducts programming for the advancement of women professionals and academics in all the fields of communication in order to develop visionaries and leaders who can make a difference in their communities and in their professions. The center leads the way for future generations of communicators and this annual conference brings together outstanding women communicators to talk about issues facing women in the industries today. 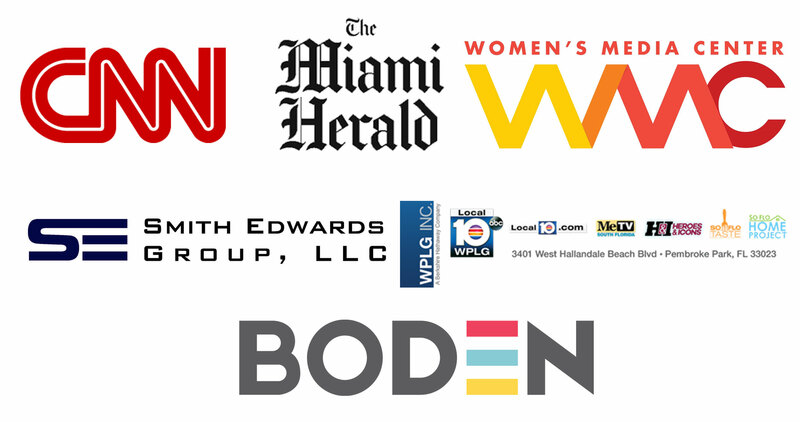 Cosponsors for the conference were CNN, the Miami Herald, the Women’s Media Center in Washington DC, Smith Edwards Group, LLC, Boden, and WPLG, Channel 10.